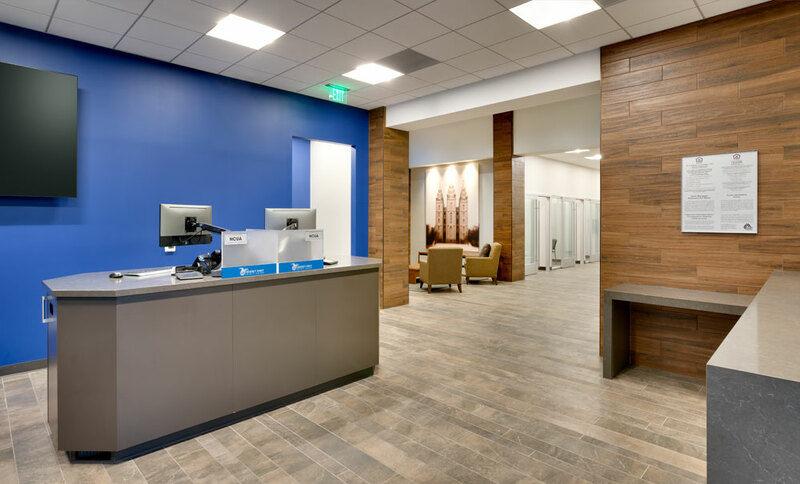 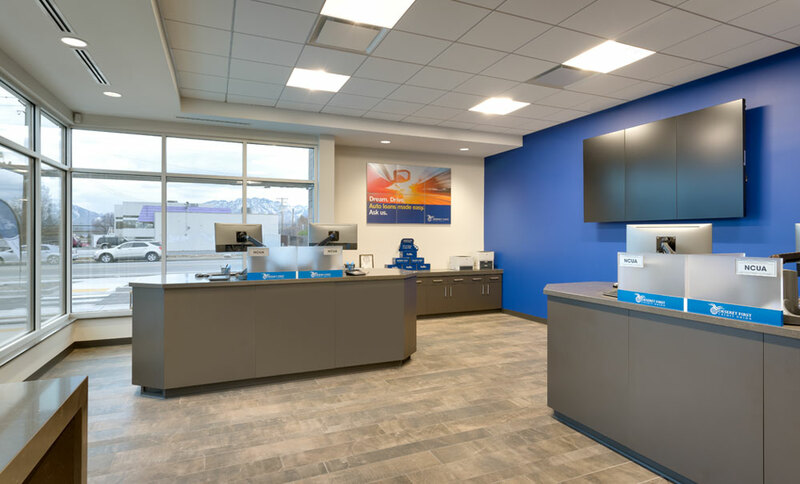 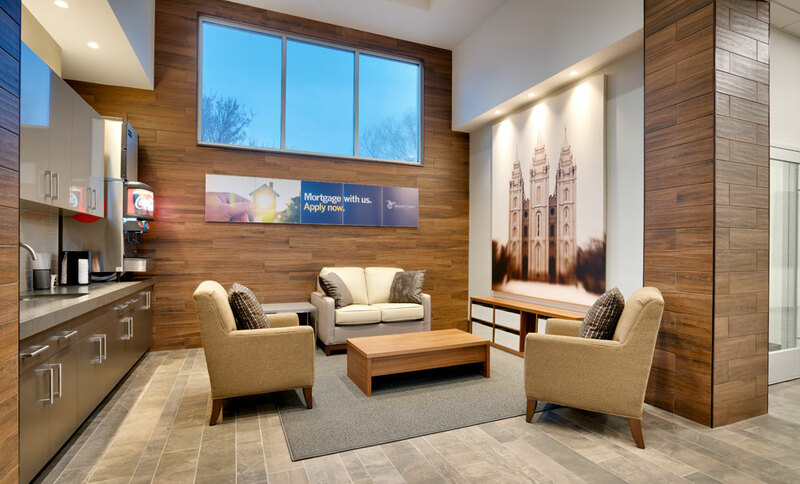 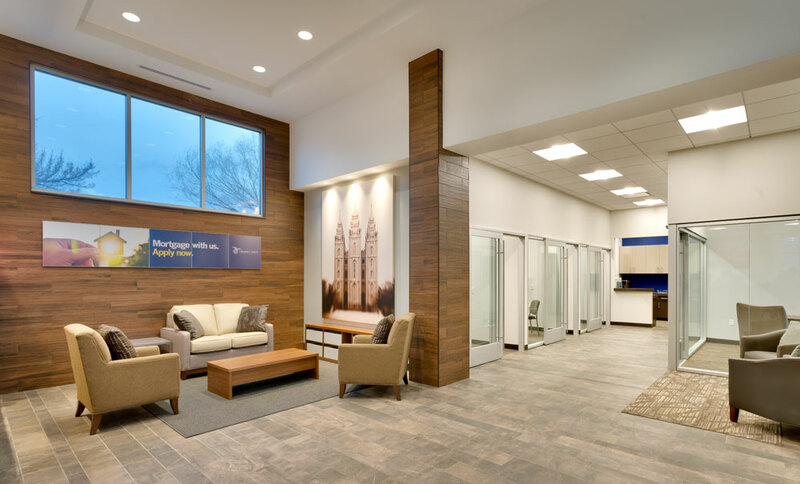 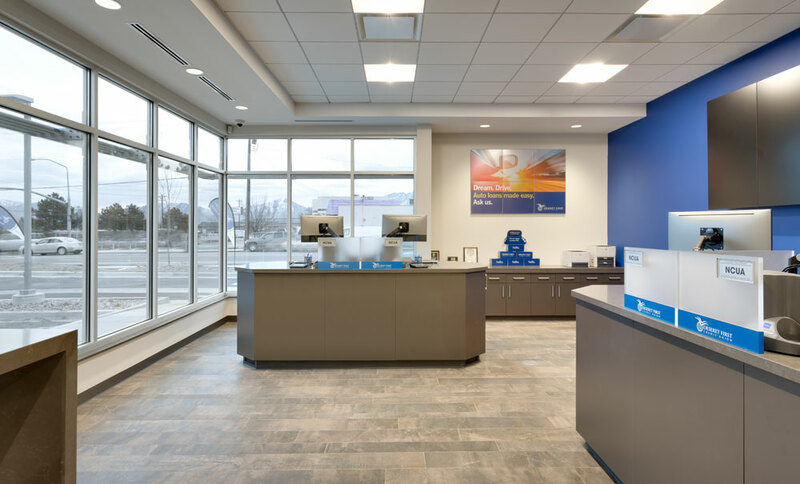 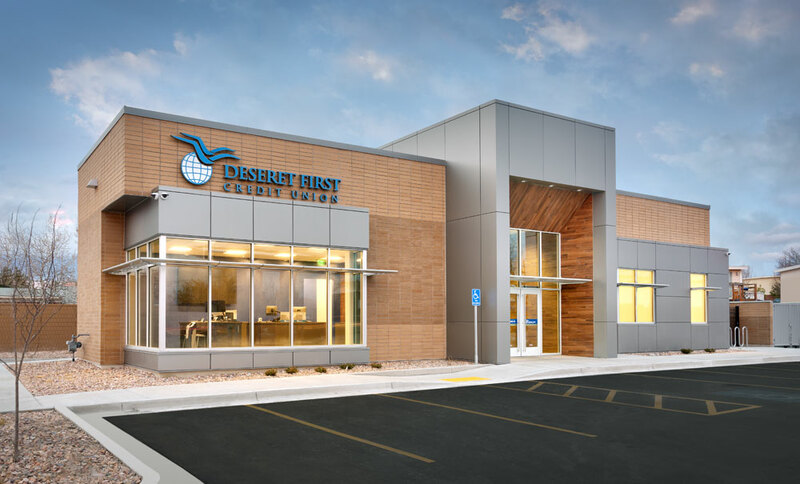 Curtis Miner Architecture created a new prototype branch for Deseret First Credit Union that focuses on making members of the Credit Union feel like family. 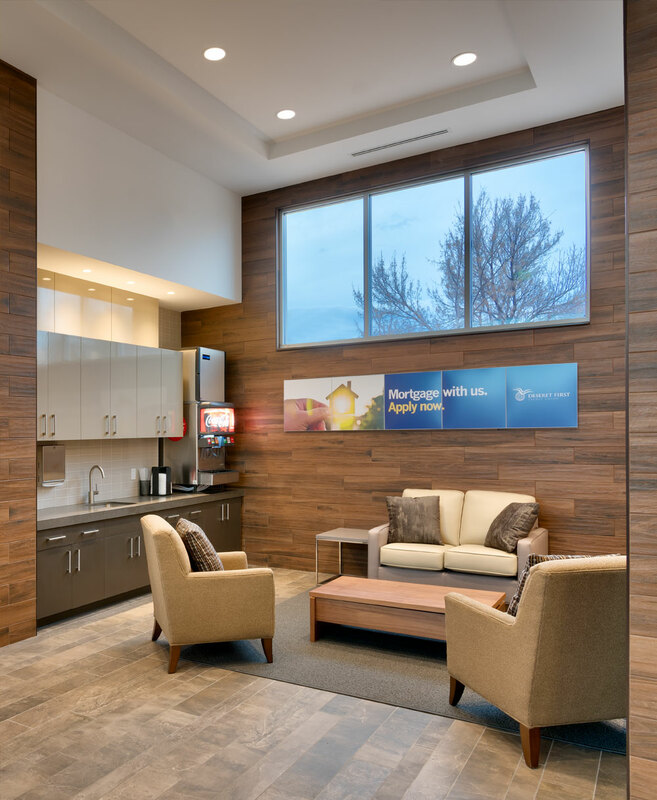 The building is organized around a lounge where members can relax and enjoy complementary drinks and snacks. 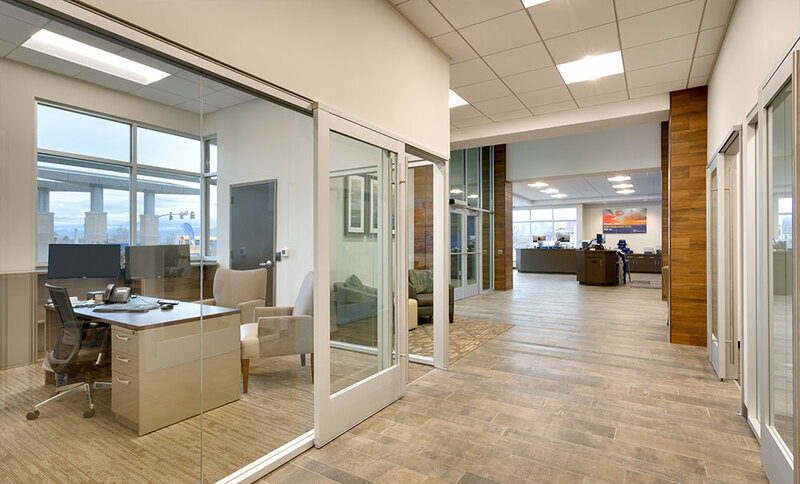 To facilitate private meetings and conversations, modern, transparent, and secure conference rooms were included. 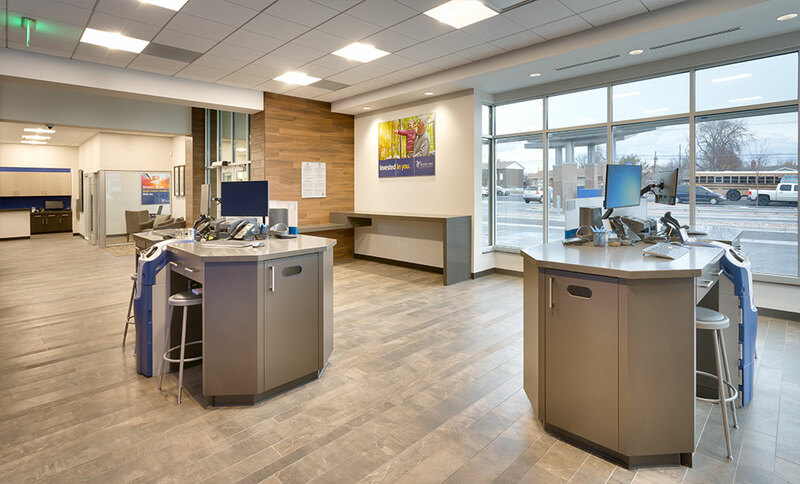 New “transaction kiosks” were used to help the members’ interactions with staff feel comfortable and friendly. 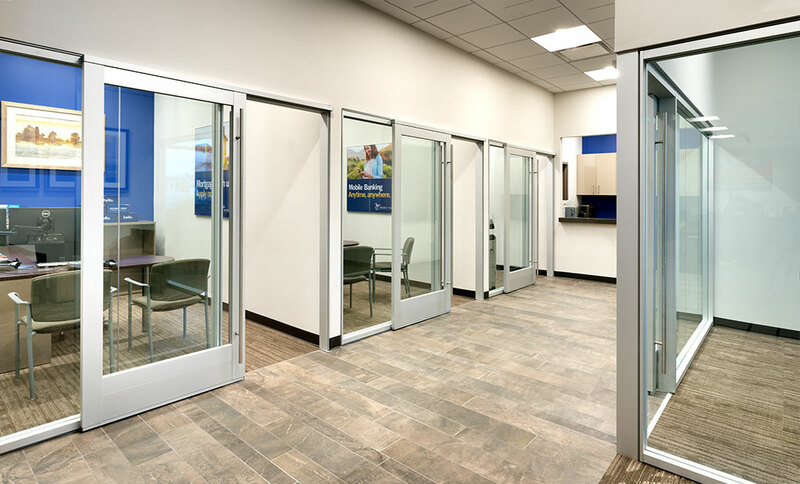 For drive-through business, new “Instant Teller Machines” were incorporated into the design. 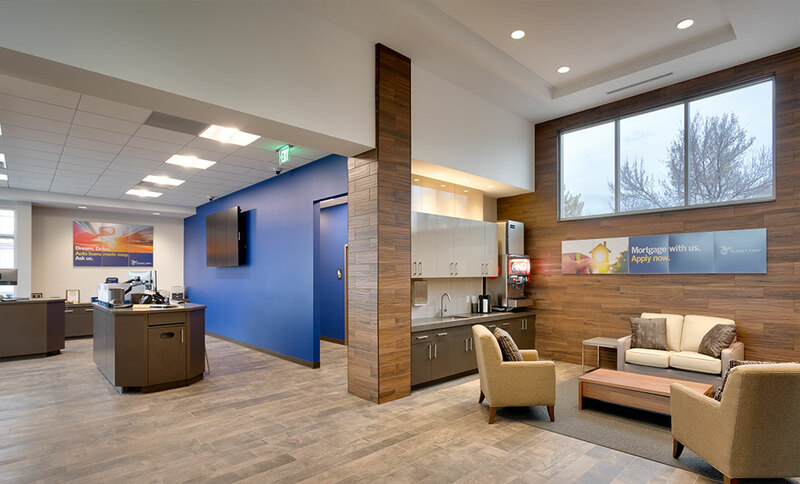 This project was also used to develop and implement a new corporate architectural style, new finish materials, and updated company colors.